We have had such an amazing start to the second half of our Summer Term! 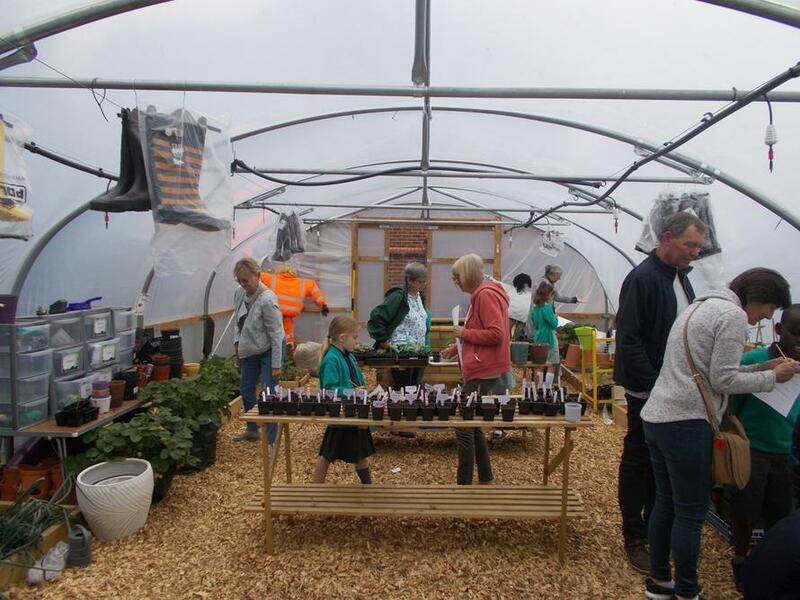 We had our Grandparents' Afternoon, where we all planted seeds together ready to grow on in the polytunnel, played a dice game based on a traditional Beetle Drive and created collages of plants. 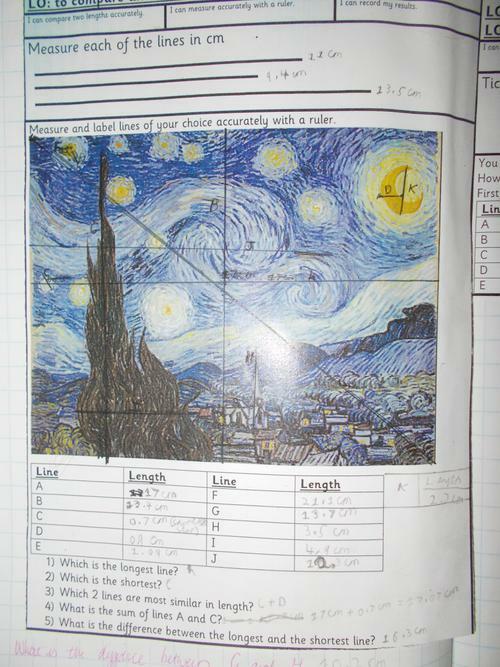 The whole school has been focused on van Gogh's A Starry Night. 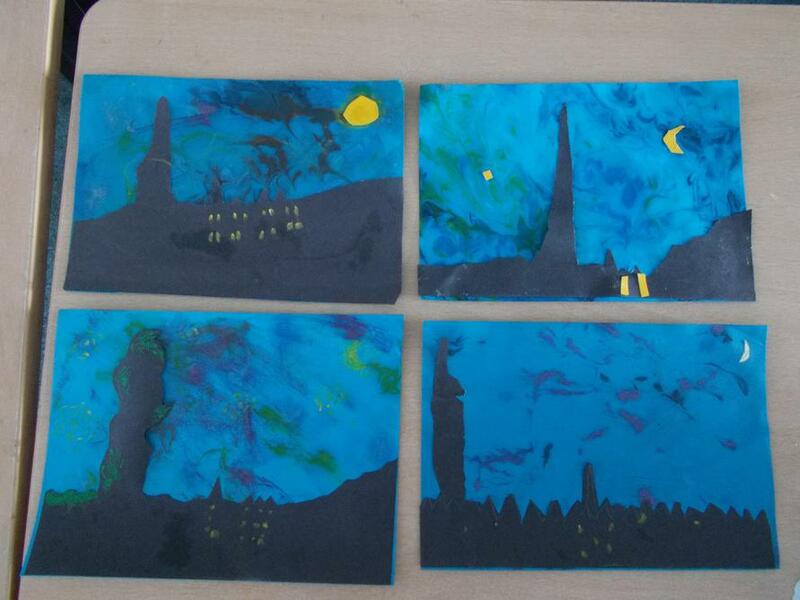 In Year 3, we have recreated the background using marbling techniques before adding detail in the foreground with a silhouette outline. 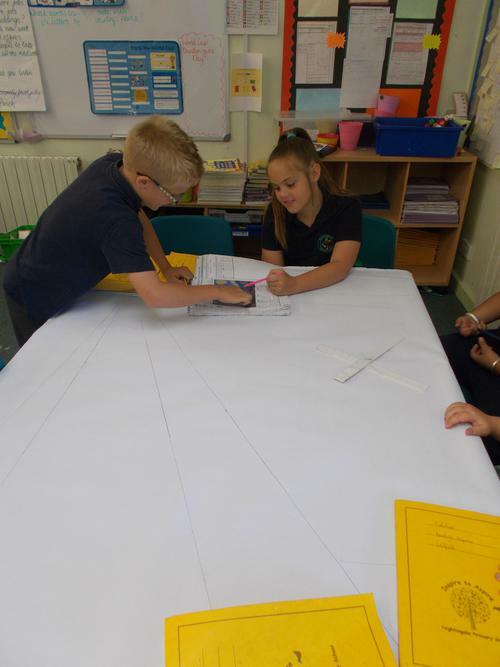 The children have written setting descriptions for their literacy and in maths they measured various parts of a small scale picture before multiplying each measurement to allow them to create a large scale version. We have been reading a book called Varmints, which has a range of beautiful pictures accompanying simple, effective text. We have been analysing the effects that the language can have on us and improving our inference skills. 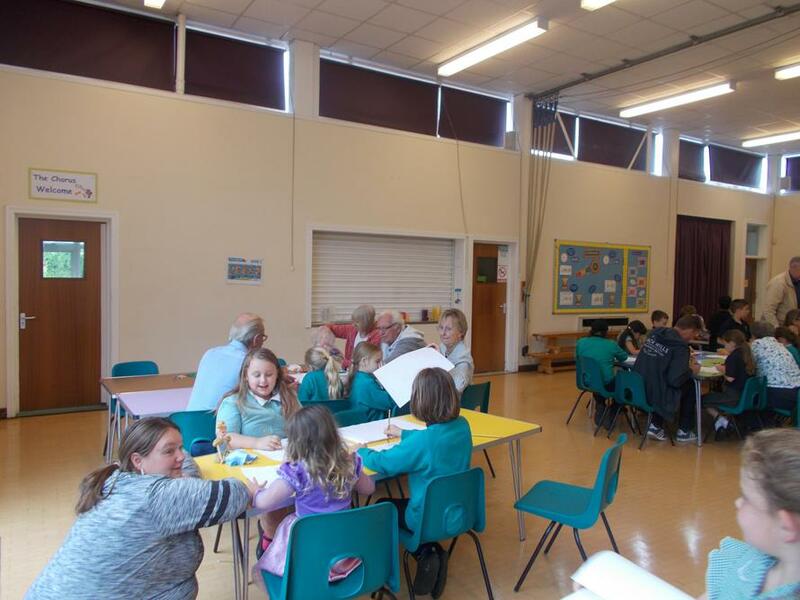 Within literacy, we have been compiling a letter to the Chariman of Eastleigh Borough Council in order to convince them to not build on Fleming Park. Our arguments have been evidenced with information and facts that we have learnt during our science lessons. We have been helping Mrs Hole keep track of all of the plants in the vegetable garden by doing a data collection on how many of each variety of plant is growing, the size of the crops and the tallest plants. We have then presented this information within a variety of ways including pictographs and bar charts. We are currently researching what, and how much of each thing, plants need to survive and what effect varying these has. Watch this space for our results! We are going to be looking at what a healthy lifestyle entails before creating our own healthy lunch, including some yummy taste testing! We have been learning about how people grow and the changes that we might see. Spelling homework is handed out on a Thursday and is due in the following Wednesday ready for their test. 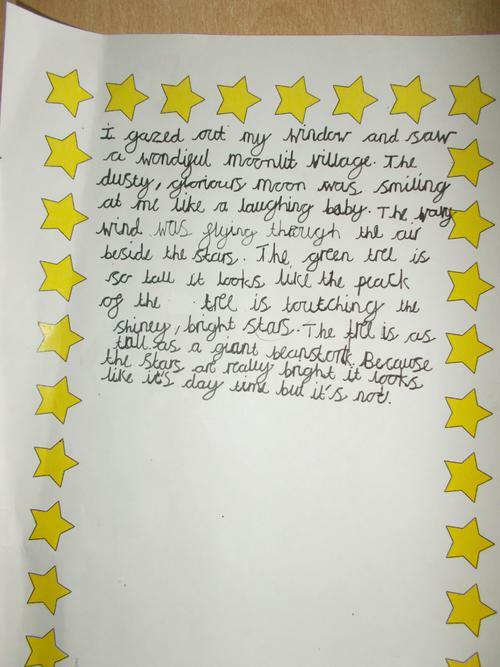 Children are also expected to read regularly and fill in their reading diaries. This is a vitally important part of learning for all children; the more opportunities they have to read-the better! Goldfinch will have swimming on a Wednesday, Jackdaw on a Thursday. They will be also be lucky enough to take part in Listen2Me music lessons on a Monday and they are learning ukulele this term. Library days are on a Friday for Jackdaw and Goldfinch class. Children will be expected to bring in their library book during these times so that they have the opportunity to change it for a new one.